A Garage Conversion, as the name suggests, is a transformation of the garage into a different, useable space. 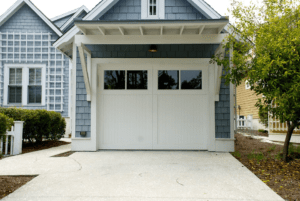 A garage conversion is actually a type of ADU (accessory dwelling unit), albeit one that fits into its own specialized category. A garage conversion is less expensive than attached or detached ADUs because there is less construction that needs to be done. The reason is that, unlike ADUs, no new walls need to be built for a garage conversion. Only the interior space of the garage and its door need to be modified in order to transform it into a brand new space. Furthermore, a garage can be converted into a variety of different rooms, from a living space, to a work space, to a play area, and more. The versatility of the garage space is why it is such a ripe prospect for conversion. Continue reading to find out more about garage conversions in Woodland Hills and surrounding locations, and discover why they are a sensible addition to any home. Permits must be acquired before proceeding with any significant alteration to the home and that is the case with a garage conversion. First, permits must be acquired from the Department of Building and Safety that serves Woodland Hills. Next, you should speak with the code official who works there, they will make sure that the plans for your garage conversion fall within the parameters of the local rules. The Entrance – The garage door does not exactly make the best entrance to a living space, so it will have to be removed and a wall with a door entrance needs to be put in its place. Care must be taken that the new entrance blends in with the rest of the home, otherwise it might stick out in an unsightly way. The Floor – Most garages feature a simple slab of concrete that usually slopes downward, as the floor. In a garage conversion, the floor will likely have to be leveled and insulated to make living there more comfortable. HVAC Connections and Insulation – Air conditioning and heating is important in keeping the space comfortable; since the garage is usually attached to the house, it is possible to extend the HVAC system into the garage. If the garage is separate, then heating and cooling can be supplied by space heaters and room air conditioners. Floor heating is also another good option, especially for the uninsulated, concrete floors found in garages. However, before any heating or cooling is installed, insulation has to be added to the ceiling, floor, and walls. Electricity Hookups – Most garages have few electrical outlets, so many more will need to be added in order to turn it into a functional living space with the amenities people need. More outlets and circuits will need to be added in order to make the space liveable. Plumbing – This can be the most expensive part of a garage conversion. A plumber will have to be consulted because adding pipelines and creating drainage are major considerations. New Storage and Parking – If the homeowner plans on keeping their vehicle, then a new structure will need to be built to accommodate it. A carport—a simple roof supported by posts—is an easy option, but if space permits, a new detached garage can be built on the property. Anything that was stored in the garage can be transferred into the basement, attic, new garage, or a small, newly constructed shed. If you need a cost efficient way to add a new room to your home with minimal construction and minimal disruption to your daily life, then a garage conversion is the way to go. The garage can be converted into a wide variety of different rooms at relatively minimal expense; it can be transformed into a living space and rented out; it can be turned into a home office; it can even be changed into a home gym, the sky is the limit with a garage conversion. So call Amerbuild to turn your old garage into something brand new.